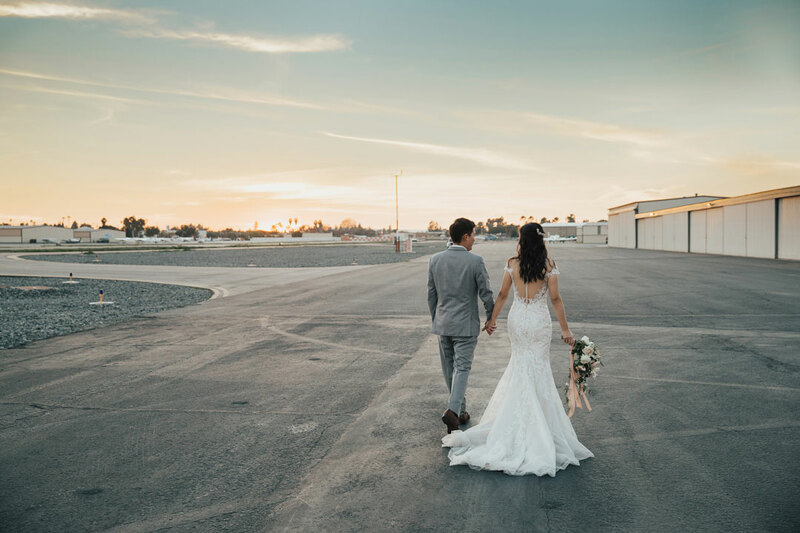 The wedding party made their way to Hangar 21 North to take group pictures before Una and Jeff’s ceremony. 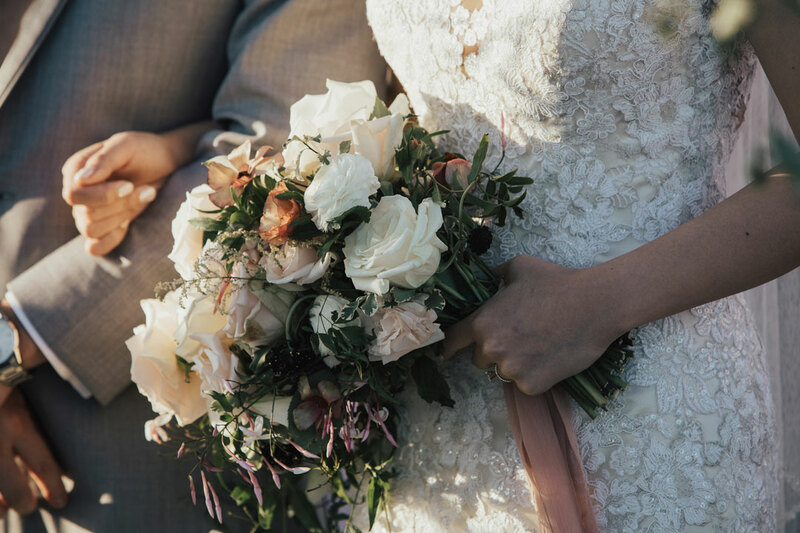 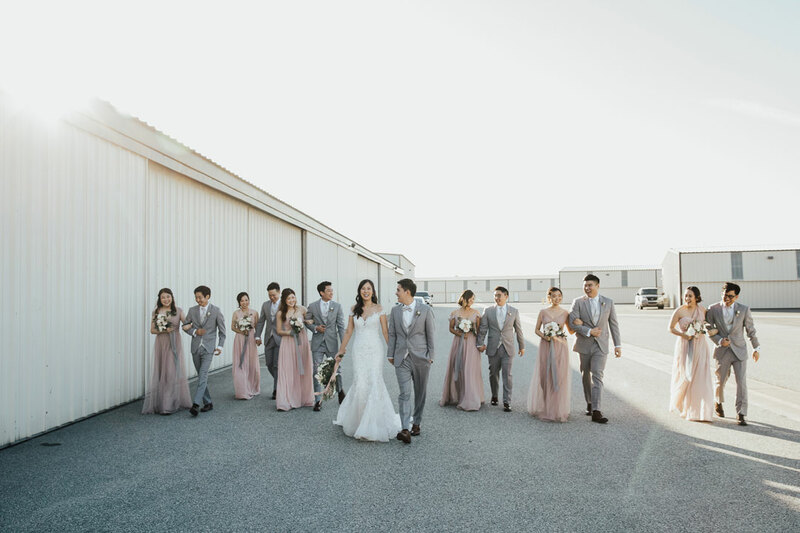 The bridesmaids were dressed in blush colored dresses while the groomsmen sported gray suits. 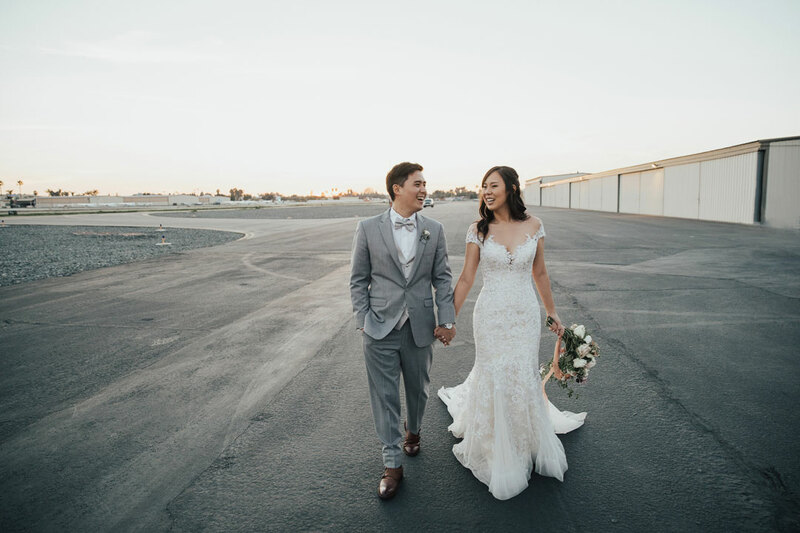 Laughs were had and memories were made before Una and Jeff had a moment alone for pictures of their own while the bridesmaids and groomsmen headed to the ceremony site. 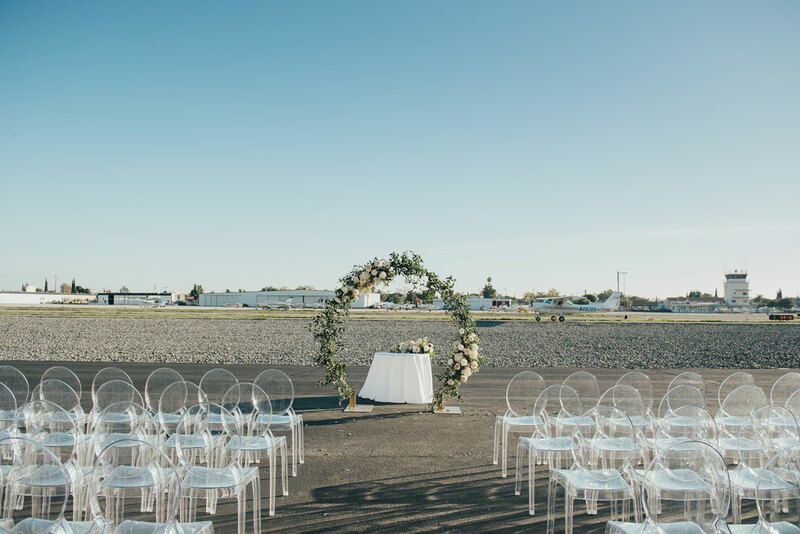 Guests arrived on the tarmac at Hangar 21 and took their seats. 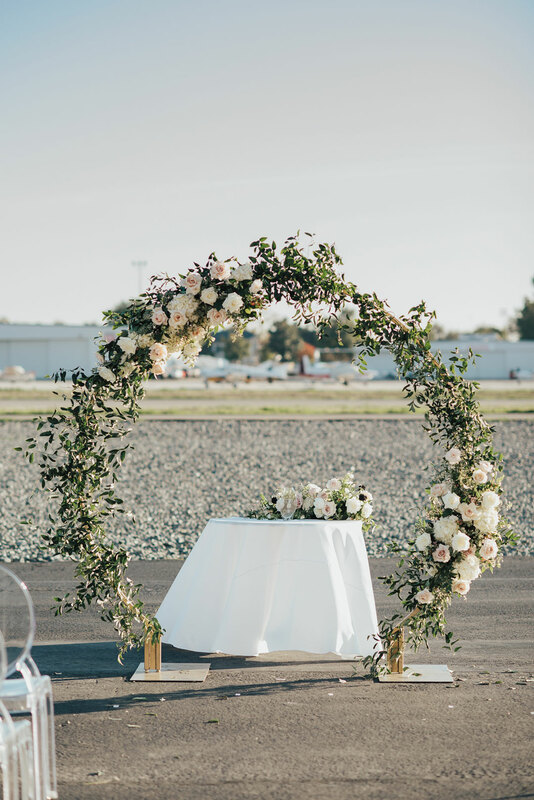 Gorgeous blue skies made for a perfect backdrop to a beautiful ceremony arch decorated in white and pink roses. 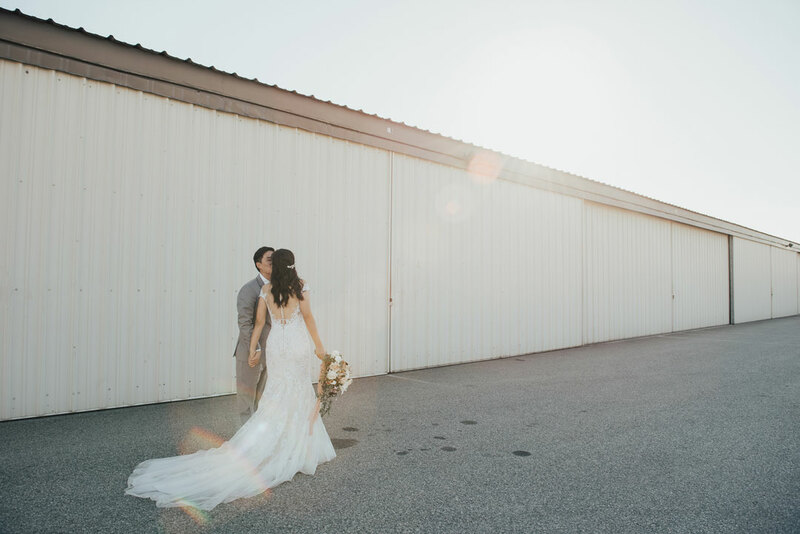 Music began and the wedding party made their way down the aisle. 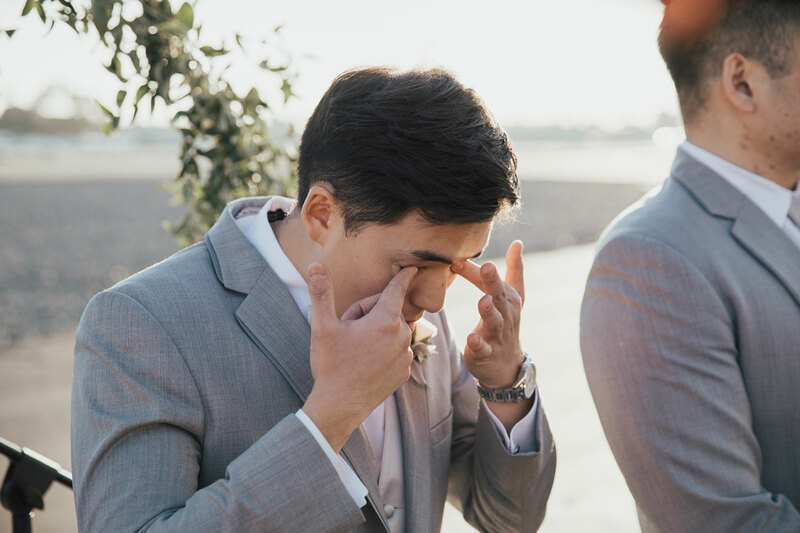 The second Una made her appearance on the aisle, Jeff’s eyes filled with happy tears. 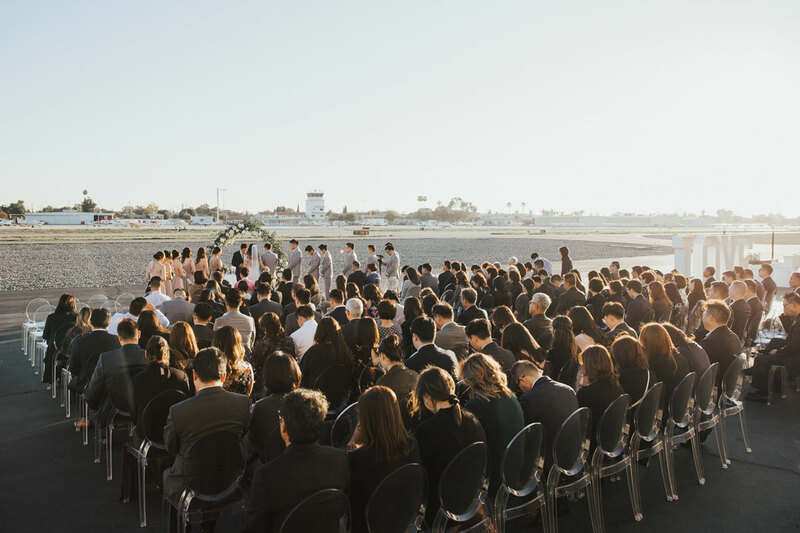 The bride and groom exchanged vows and performed a sand ceremony. 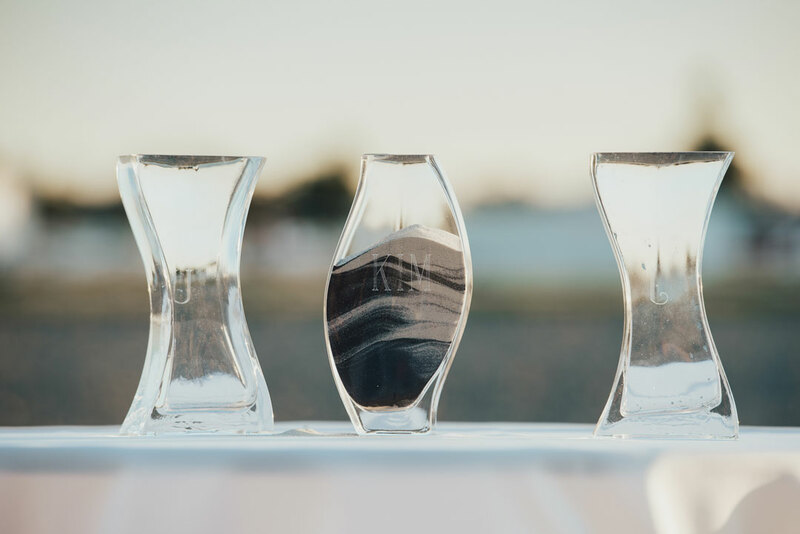 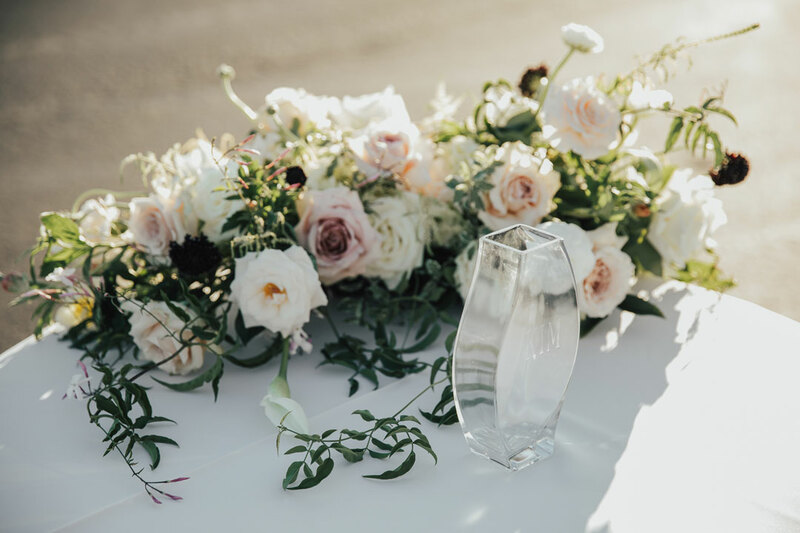 Both the bride and groom mixed their colored sand into one vase to represent the uniting of their families and how that unity is irreversible. 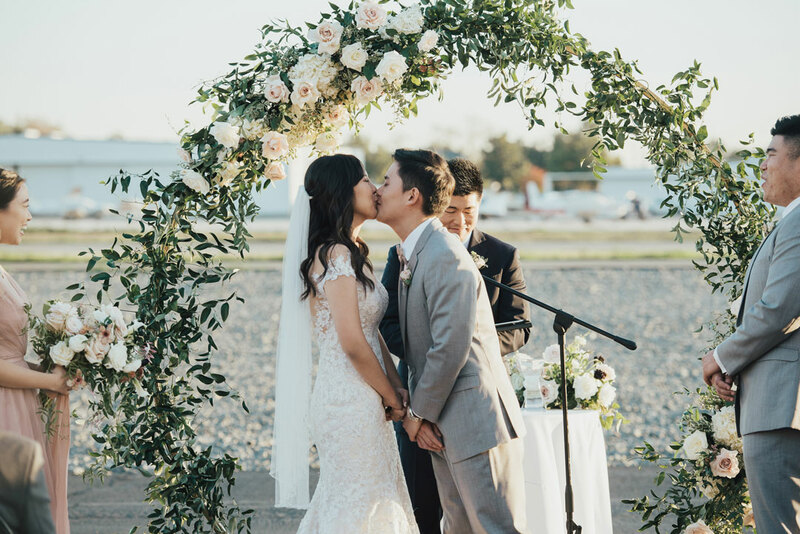 Guests cheered as the newlyweds shared a sweet kiss to seal the deal. 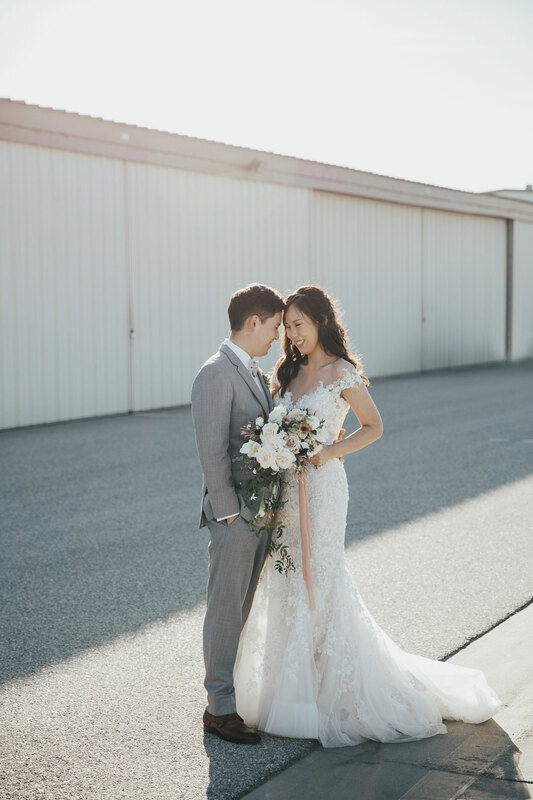 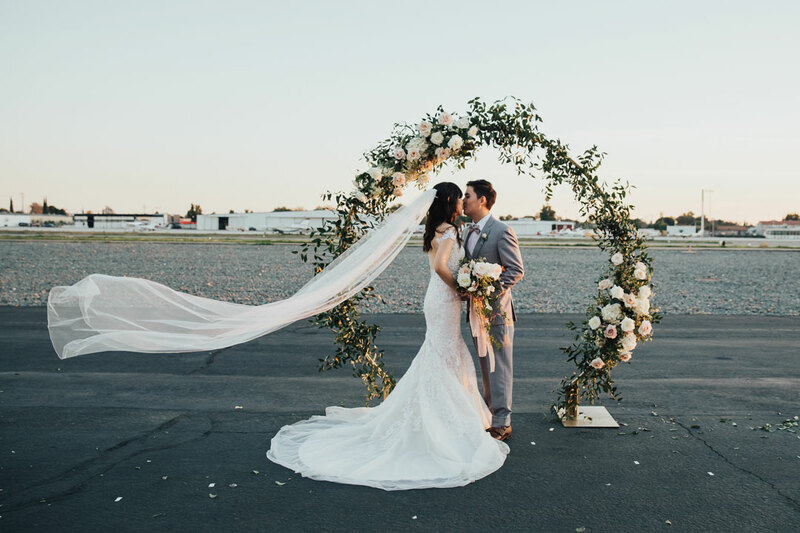 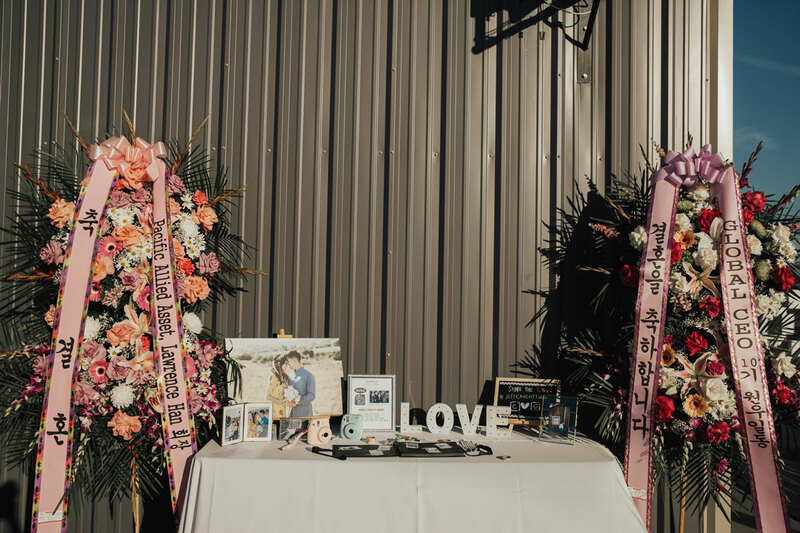 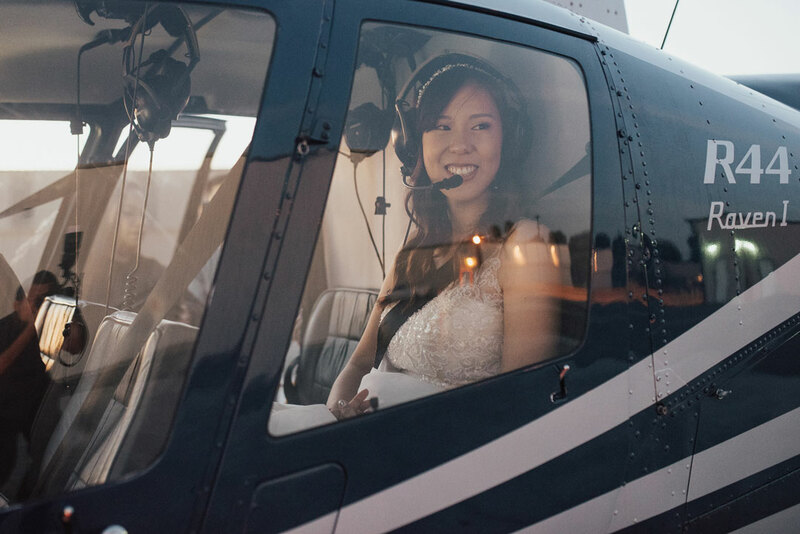 From the ceremony, the newlyweds took advantage of their helicopter grand entrance and took flight over Orange County for some sightseeing before landing for their reception. 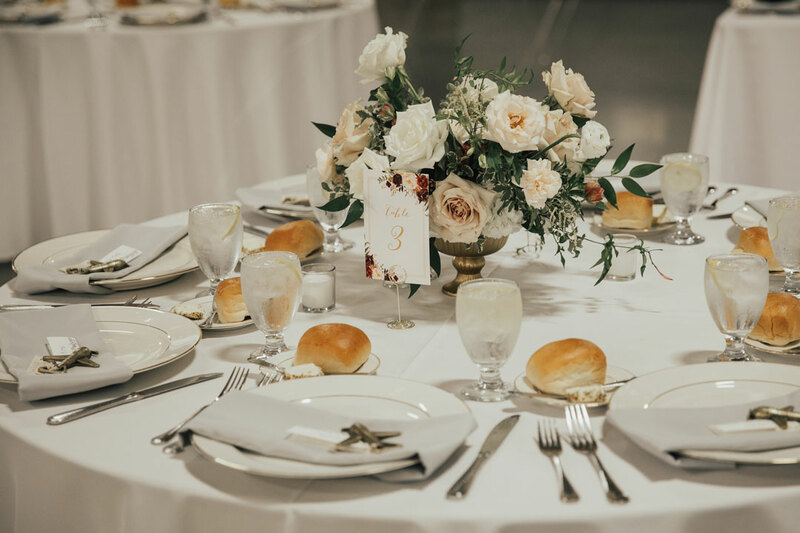 Filet and Wild Mushroom Wellingtons and Sausage Stuffed Mushrooms were served to tide guests over until dinner. 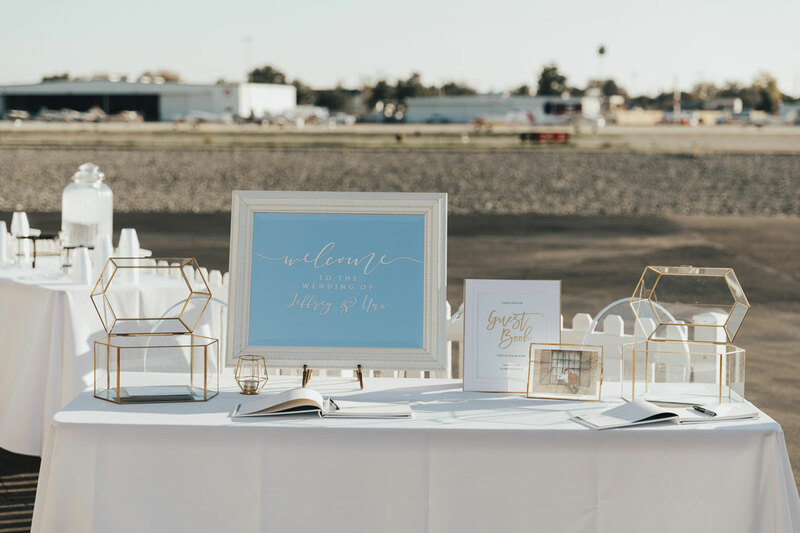 Guests cheered as Una and Jeff kicked off the reception with their first dance once they landed from their helicopter ride. 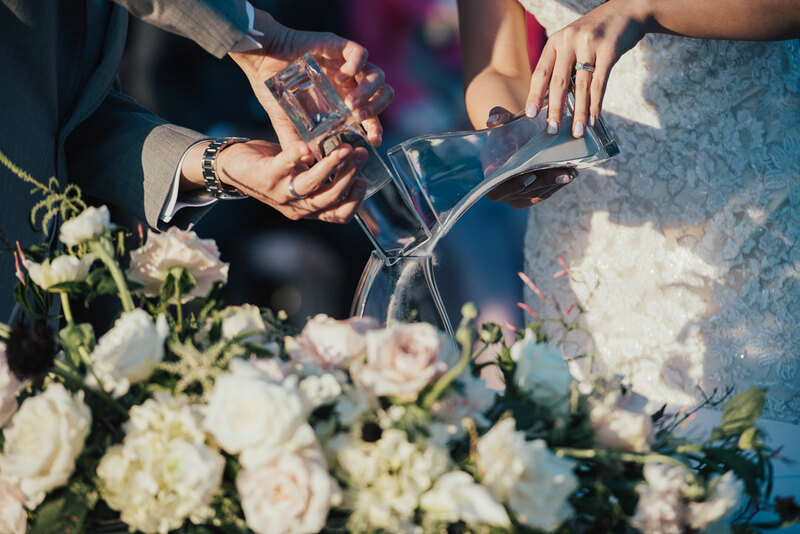 After their dance, toasts were made and then dinner was served: Santorini Chicken, Classic Filet of Beef, Oven Roasted Rainbow Fingerling Potatoes and Baby Vegetables. 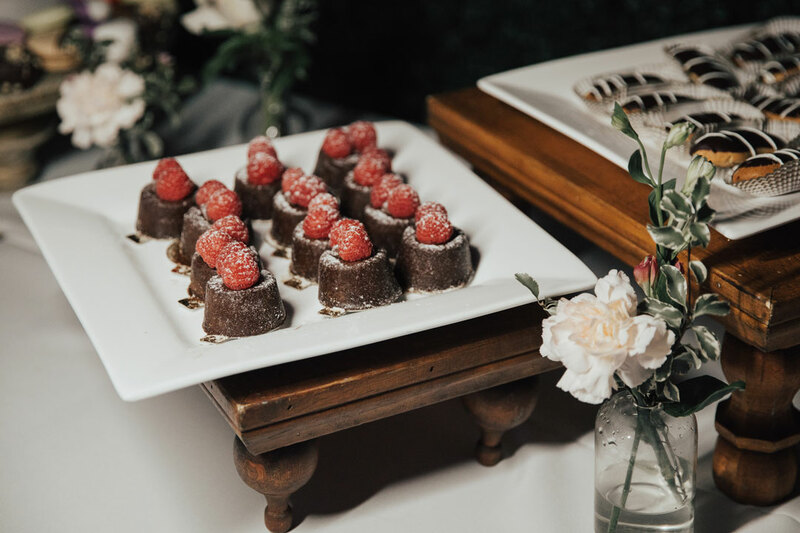 Once everyone was satisfied and full, the dance floor became the new hot spot until it was time for dessert! 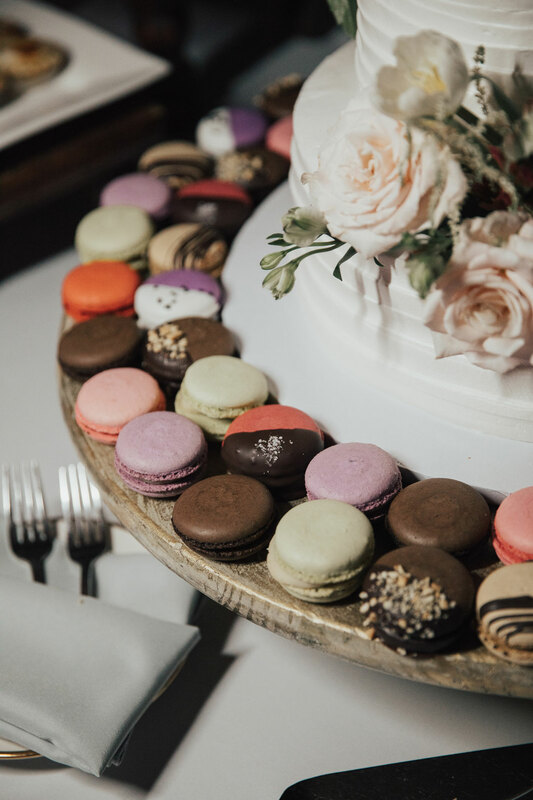 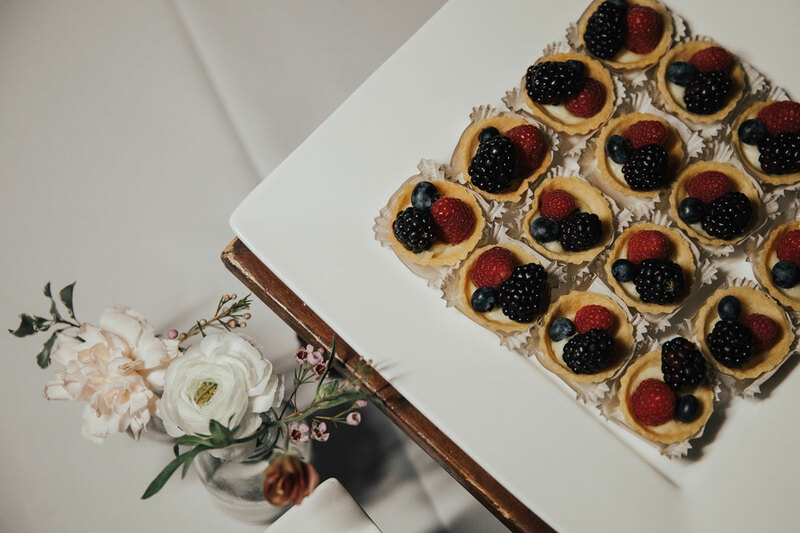 Our Classic Dessert Station with an assortment of French Macarons, Raspberry Chocolate Decadence, Fresh Fruit Tarts, Vanilla Bean Chocolate Eclairs, and French Apple Tarts were plated around the wedding cake ready to be devoured. 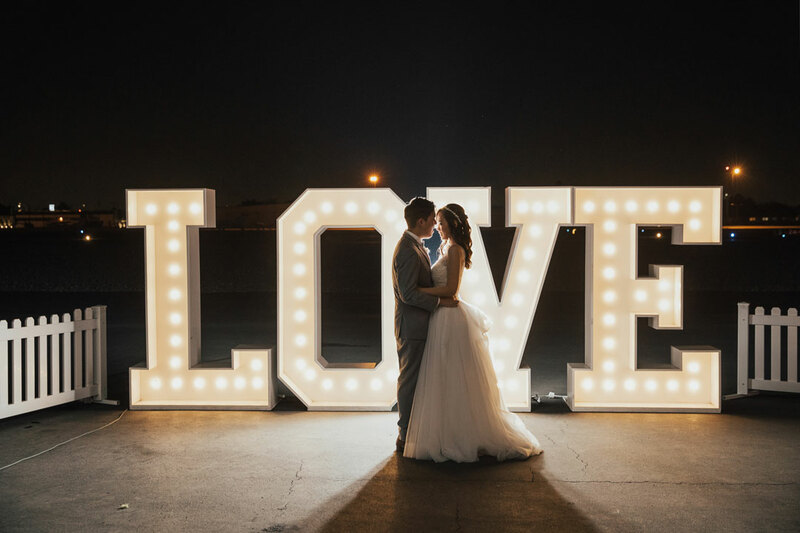 Everyone kept the party going on the dance floor until it was time to say goodbye to the bride and groom and end the evening. 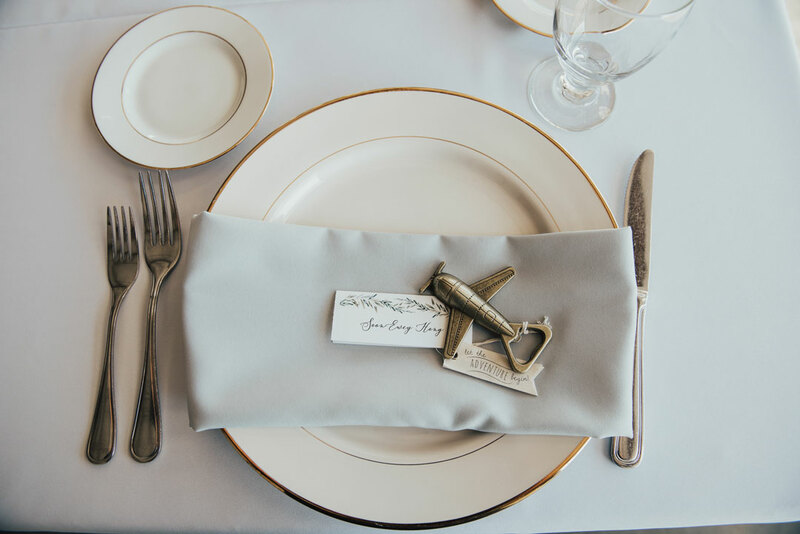 Thank you to our Event Specialist, Brittany, for assisting the bride and groom with their venue and catering needs!